Following up on the announcement of a SpaceX developed and launched, partially Google and Fidelity Investments funded ($1 Billion worth) 4,025 satellite internet constellation. The satellites and ground receivers are said to use electronically steerable phased array antennas, a technology usually associated with military radars. These multi-element antennae have now been shrunk to the size of a silicon chip. This about pending spectrum "discussions" is a good place to start. Space Exploration Technologies, otherwise known as SpaceX, the space transport company founded by billionaire Elon Musk, wants the FCC to consider not only existing but future innovative uses of Ka-band spectrum before committing to a proceeding that might create barriers to entry. The company made the comments as part of the FCC's Notice of Inquiry (NOI) on technical and service rules for 5G in bands above 24 GHz. Reply comments on the proceeding were due last week. Several other satellite-related entities, as well as wireless industry vendors and service providers, filed comments as well. SpaceX pointed out that it recently announced plans to build a network of 4,000 non-geostationary orbit (NGSO) communications satellites, which it will manufacture, launch and operate. It plans to hire a large number of skilled workers at a new satellite manufacturing center in the Seattle area. While well established as a launch services company with NASA contracts, SpaceX will be a new entrant in the satellite communications space, seeking to provide low-cost, high-speed broadband Internet service worldwide, including to end-users in the United States. SpaceX said its network will be operating in higher frequency bands, including the Ka-band spectrum at issue in the current FCC proceeding. The company notes that the record in the proceeding firmly establishes that satellite operators have launched or are developing satellite systems to operate in the Ka-band frequencies above 24 GHz. For its part, SpaceX says it will join the ranks of Ka-band spectrum satellite operators "in the near term" as it begins to test and deploy its network of satellites. The Satellite Industry Association (SIA) has asked the commission to carefully consider the potential impact on incumbent satellite services in bands above 24 GHz from possible sharing with new 5G services, and SpaceX echoed those concerns. SpaceX urges the commission to take into account new satellite entrants and not just incumbent satellite operators and their existing or planned operations. "SpaceX is committed to introducing a new NGSO network in the Ka-band, further enhancing competition and innovation for satellite services. Any adopted 5G policies should contemplate the continued march of innovation and new entrant business models so as to enhance competition and expand consumer choices in the Ka-band," the company said. The company also noted that even in satellite uplink bands, there are potential challenges to sharing between intensive, high-power terrestrial operations and satellite services. Satellite earth station uplink operations have the potential to cause interference into terrestrial receive antennas, and aggregate interference from terrestrial operations could adversely affect satellite receive operations. Such effects are particularly important to consider in the context of NGSO operations, where steerable earth station transmit antennas would have a wider geographic impact and significantly lower satellite altitudes magnify the impact of aggregate interference from terrestrial transmissions, the company said. Just a short article to show the resistance to novel ideas...crazy then...obvious now... cube sats.. It's also a pretty blatant attempt to restrict / slow down a competitor with a superior tech to OneWeb. And hopefully any judge will have the wherewithal to spot such a blatant attempt, too. It won't be a judge, yet. It'll be an FCC bureaucrat. Craig Clark, founder and CEO of Scotland’s Clyde Space Ltd., gives his views on the small satellite market and innovations like OneWeb’s planned mega-constellation venture. Can SpaceX Internet Satellites Succeed Where Google and Facebook Failed? SpaceX's plans to beam Internet access from space is just one item on the long list of ambitious and possibly world-changing projects that Elon Musk and his companies are working on right now. But while there are plenty of tough challenges facing SpaceX in its efforts, the competition for the higher ground has been self-winnowing, despite the rewards to any group that can make cheap, reliable Internet a global phenomenon. Musk announced his plan for a network of thousands of satellites to beam the Internet to the Earth earlier this year. Using some of the $1 billion it raised in January, it will start manufacturing satellites in a factory near Seattle. One notable fact about the investment is Google's involvement. Google had made much of its own plans for an Internet satellite network, even hiring OneWeb founder Greg Wyler to run its satellite division. But money and other delays frustrated Wyler to the point that he decided to leave Google and start WorldVu Satellites to pursue his vision. 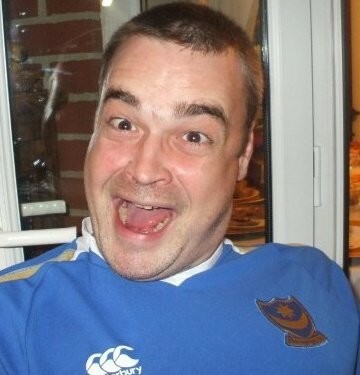 His company is now backed by Richard Branson's Virgin Group. Facebook had made its own plans to send up satellites that would deliver the Internet from space, but recent reports say that plan is on indefinite hold. Facebook has also, like Google, bought a drone company that might help it send Internet access from the sky, but hasn't done much in that regard either. There's no doubt that the social media giant will be keeping an eye on Internet satellite developments though. The company's Internet.org initiative, designed to bring the Internet to places and people who don't have any access at all, would benefit immensely from being able to provide coverage from orbit. The most important factor, besides the technical ability, is the cost. Designing, building and launching a satellite can cost hundreds of millions of dollars. Putting up hundreds of them, even if they are all the same design, presents a daunting bill to pay. The solution sought by Musk, Wyler and others working on the project all ultimately comes down to figuring out how to make the whole process more inexpensive. SpaceX's main mission of reusable rockets is an obvious solution to making the flights cheaper, and reusable rockets is very much the focus of other aerospace companies. Unfortunately, SpaceX has yet to successfully land a rocket in good enough shape to be reused. That's going to be a necessary part of any plan to put up hundreds of linked satellites without going bankrupt. Just as important is working out how to lower the cost of making the satellites themselves. Musk and the SpaceX team have talked about using the latest advances in software and circuitry to build relatively small, durable satellites in the Seattle plant. If the satellites are cheap and the rockets they go up in can be reused and of course if all the technical issues can be resolved, SpaceX-style Internet might very well be how we all access the Internet someday. And the geo-stationary orbits would definitely put the network ahead of current satellite offerings, which are higher in orbit and offer a wider area of coverage, but with slower service. While rural areas that have little or no Internet access might automatically want to sign up, SpaceX Internet will have to offer something extra to get people who already have easy access to switch. But if it's cheap enough, Musk's stated confidence in the project could be borne out. It's all very risky, but Musk knows what it's like to gamble at laying the foundation for a whole industry. Tesla Motors and its network of charge stations and open-source patents testify to that. And Musk's focus on SpaceX's success promises that this project won't be tabled over the costs and technical difficulty that ended similar projects at Google, Facebook and elsewhere. If anyone can, it's them. Another money-maker if it works out. But earlier this month, SpaceX filed a request with the US Federal Communications Commission for permission to encircle the planet with telecom satellites capable of beaming the Internet to anywhere on Earth. The technology for satellite Internet has existed for a while, but has suffered practical setbacks. The distance at which most satellites orbit isn't exactly conducive to reliable service. Placing satellites in low Earth orbit - as SpaceX plans to do - allows for better connections, but decreases range. Google - which has now invested in SpaceX's efforts - announced a similar plan in 2014, and estimated it would need 180 satellites in order to span the whole planet. But Musk has an even grander strategy. SpaceX's plan calls for 4,000 satellites to remain in orbit. How much is all of that going to cost? The company hasn't officially released any estimates yet, but Google said it would set aside over $1 billion. In January, Musk told Businessweek that he expected the system to reach at $10 billion. 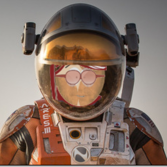 Still, SpaceX may have an advantage. 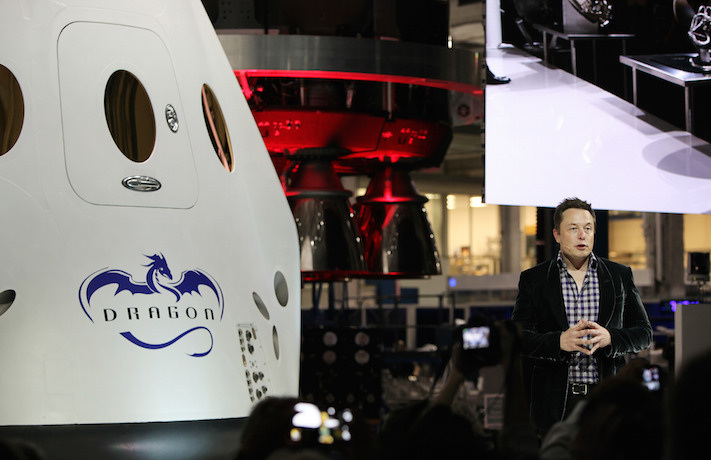 With its primary focus on aerospace, SpaceX could streamline the launch process. Whereas any competitors would have to rely on third party entities to launch its satellites, SpaceX can use its own rockets. And SpaceX isn't the only one trying to elbow its way into low Earth orbit. OneNet, founded by Greg Wyler and backed by Richard Branson's Virgin Group, has already seized a number of licensing rights for its own satellite Internet project. "Greg has the rights, and there isn't space for another network," Branson told Businessweek. "If Elon wants to get into this area, the logical thing for him would be to tie up with us and if I were a betting man, I would say the chances of us working together rather than separately would be much higher." Thanks to an agreement that Qualcomm (NASDAQ:QCOM) and SpaceX reached, the industry may be one step closer to realizing the vision of providing every passenger on planes with simultaneous access to streaming video, including live news. That was one of the goals of engineers at Qualcomm when they set out to provide the technology that would allow for fast broadband on planes. In a proceeding before the FCC, Qualcomm, Gogo Wireless, Inmarsat and others are pushing for the FCC to auction 500 MHz in the 14 GHz band for air-to-ground (ATG) wireless services for airline passengers. The companies argue that in-flight broadband services do not pose a danger to airline passengers and personnel, and that a new ATG system would fortify existing terrestrial- and satellite-based systems for in-flight Internet access. However, SpaceX, the venture headed by Tesla Motors founder Elon Musk, raised concerns last summer. SpaceX plans to operate a nongeostationary satellite orbit (NGSO) fixed satellite service (FSS) system that will use, among other frequencies, the 14.0-14.5 GHz band that has been proposed for new air-ground service. SpaceX was concerned about the potential for the new air-ground service to interfere with SpaceX's 14.0-14.5 GHz band operations. Qualcomm had previously stated that the proposed air-ground system would account for less than 1 percent of the rise over thermal (RoT) for NGSO FSS systems. When SpaceX substituted its beamwidth, gain and G/T figures for the figures that had been assumed by Qualcomm, it found that the air-ground system would in fact account for more than 6 percent of the RoT for SpaceX's NGSO FSS system. After a series of discussions, the two companies reached the conclusion that it is possible to field an air-ground mobile broadband (AGMD) system that sufficiently protects SpaceX's NGSO system. "SpaceX and Qualcomm agree that, given that, at present, the AGMB service will be the only non-primary use of the band, the AGMB operator shall control RoT to NGSO satellite systems to ensure that aggregate interference from the AGMB service accounts for no more than 1 percent RoT of the FSS link budget set out in ITU Recommendation S.1432," the companies said in a joint filing to the FCC. "We're delighted" that they were able to reach a proposal that is satisfactory to SpaceX, which may or may not end up being a rival to the OneWeb satellite program that Qualcomm is supporting along with Richard Branson's Virgin Group, according to Dean Brenner, senior vice president, government affairs, at Qualcomm. "We don't know that SpaceX and OneWeb are actually going to compete," he told FierceWirelessTech. They might have completely different business models and offer different services. "We're just looking at the technologies and systems that are on the drawing board," Brenner added. "It does show that people of good faith, when working together on technical issues, even from different companies that have different business objectives, can work together and reach a consensus." Qualcomm is optimistic that an auction will be held in a timely fashion and that if everything were to go according to plan and smooth sailing, it could see its technology deployed on planes within two or three years. It's unknown who ultimately will deploy it, but it's possible mobile operators could get involved. Last year, T-Mobile US (NYSE:TMUS) and Gogo started offering free in-flight texting and voicemail to T-Mobile customers on Gogo-equipped U.S. aircraft. While various offerings advertise different levels of service on planes -- JetBlue uses satellite service provided by ViaSat to offer streaming-friendly service to its passengers -- Gogo is primarily designed for web browsing, email and corporate VPN access. Because of capacity limitations, Gogo doesn't allow for video downloads, in-flight file transfers or streaming media, among other things. That is going to change with future iterations of its technology, but the baseline, when Qualcomm engineered its next-gen technology, was to allow all the passengers on the plane to stream video. SpaceX is skipping Microsat 1a and 1b and moving straight to Microsat 2a and 2b; larger, more powerful and testing to multiple fixed and mobile ground sations. 400 kg with 7-10 kW of power, and a bunch of goodies including intersatellite laser relaying. Orbit raising and deorbit by advanced, SpaceX built, Hall effect electric thrusters. SpaceX had previously been granted authority for two other experimental satellites (Microsat-1a and -1b) operating with different orbital parameters in the 2GHz, 8 GHz, and 14 GHz bands. See Call Sign WH2XWB, File No. 0356-EX-PL-2015 (granted July 22, 2016). Because SpaceX has made revisions to the design of its hardware and constellation since it applied for that authorization, it has opted to seek authority for different experimental satellites that will provide a better test bed. Space Exploration Technologies Corp. (SpaceX) is a U.S. space technology company that designs, manufactures, and launches advanced rockets and spacecraft. The company is headquartered in California, and has more than 6,000 employees based at various facilities around the United States, including California, Texas, Florida, Washington, and the District of Columbia. On November 15, 2016, SpaceX applied to the U.S. Federal Communications Commission (FCC) for operating authority for a constellation of non-geostationary orbit (NGSO) satellites for provision of broadband services. As a development step towards this initiative, SpaceX seeks authority to launch and operate two test and demonstration satellites over the course of 24 months. These are experimental engineering verification vehicles that will enable the company to assess the satellite bus and related subsystems, as well as the space-based and ground-based phased array technologies. The company may seek further authority for subsequent test and demonstration satellites. The first phase of testing will include two satellites: Microsat-2a and Microsat-2b. These two satellites are intended to be launched as early as 2017. Both of these satellites will be deployed in one mission aboard a SpaceX Falcon 9 launch vehicle into an orbital plane of 514 km circular at 97.44 degrees inclination. After insertion, the satellite orbits will be raised to the desired mission altitude of 1125 km circular. The designed lifetime of each satellite is six months. If this lifetime is exceeded, SpaceX plans to continue operation until such time as the primary mission goals can no longer be met, at which point the spacecraft will be deorbited. 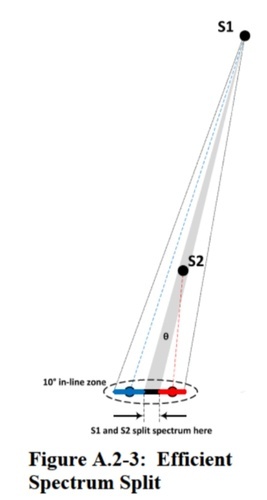 Both Microsat-2a and Microsat-2b are identical in their construction and operation. The primary structure for the Microsat-2a and -2b test spacecraft will be a box design measuring 1.1m x 0.7m x 0.7m and carries the spacecraft flight computer, power system components, attitude determination and control components, propulsion components, GPS receiver, and broadband, telemetry, and command receivers and transmitters. The primary bus is mounted on the payload truss system, which also carries communications panels, inter-satellite optical link transmitters and receivers, star trackers, and a telemetry antenna. There are two 2x8 meter solar panels. Each demonstration spacecraft has a total mass of approximately 400kg. The attitude of each spacecraft is 3-axis stabilized, and is dynamically controlled over each orbit to maintain attitude position for two pointing modes of operation: broadband antenna (antennas to nadir for testing) and solar array (solar arrays facing sun for charging). Power is provided by solar panels designed to deliver sufficient power at the predicted end of spacecraft life to not impair any test objectives. The Thermal Control System ensures that components are kept within operational temperature ranges. The Microsat being tech testbeds, now they're moving on to larger labs, test facilities and production facilities. SpaceX has taken on a 40,625-square-foot facility in Redmond, Wash., that will become a research and development lab for its ambitious satellite operation. 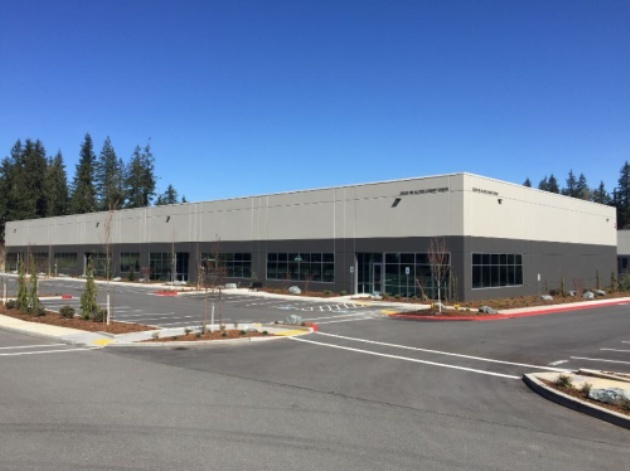 The warehouse-style space in the Redmond Ridge Corporate Center, owned by M&T Partners, is slated for a $2.1 million interior remodeling job, according to a permit application filed last month with King County. 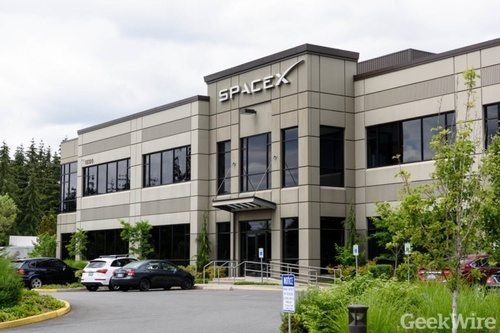 SpaceX is already using a 30,000-square-foot office building thats about a 10-minute drive away in Redmond. Setting up the lab, and hiring the engineers who will work there, marks a significant ramp-up for SpaceXs presence in the Seattle areas Eastside region. The California-based companys billionaire founder, Elon Musk, established the Redmond operation in 2015 to develop satellites that would provide global internet access. Earlier this month, The Wall Street Journal reported that the 4,425-satellite constellation is one of the keys to SpaceXs long-term business plan and Musk himself has said satellite revenues would fund his vision of sending thousands of settlers to Mars. When Musk unveiled the plan in Seattle, two years ago, he said the satellite engineering operation could eventually employ maybe 1,000 people. The companys total employment is in the range of 5,000. SpaceX hasnt publicized how many people are now working in Redmond, but the company is listing more than 60 open positions there, including spots for hardware and software engineers, satellite system engineers, designers and project managers. Last November, SpaceX laid out the details for the satellite constellation in a filing with the Federal Communications Commission. Previously announced schedules have called for the first wave of satellites to be deployed in the 2018-2020 time frame. The companys job listings suggest that satellite components will be built and integrated for testing at the Redmond lab. The Puget Sound Business Journal said there were rumors that a manufacturing plant eventually might be put in Kent, Wash., but SpaceX spokesman John Taylor said the company has made no decisions about satellite production facilities. ... and here we go! 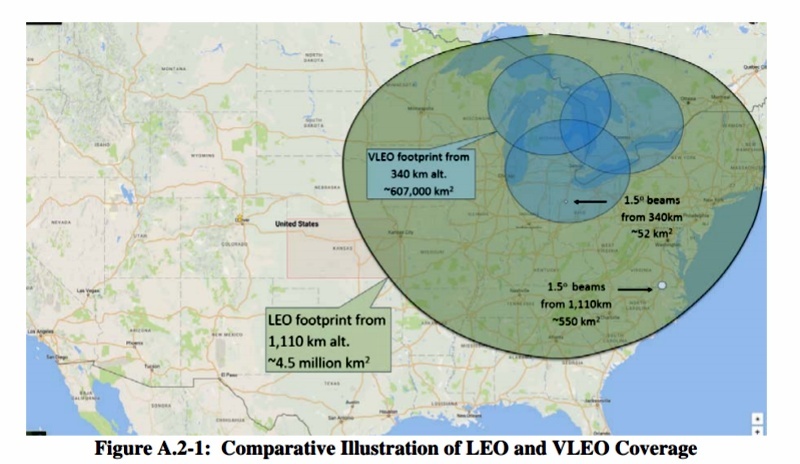 SpaceX, for example, proposes a “VLEO,” or V-band low-Earth orbit (LEO) constellation of 7,518 satellites to follow the operator’s initially proposed 4,425 satellites that would function in Ka- and Ku-band. This would explain OneWeb's latest announcement regarding a major constellation increase. This bodes well for consumers. OK...these are all for CommX. 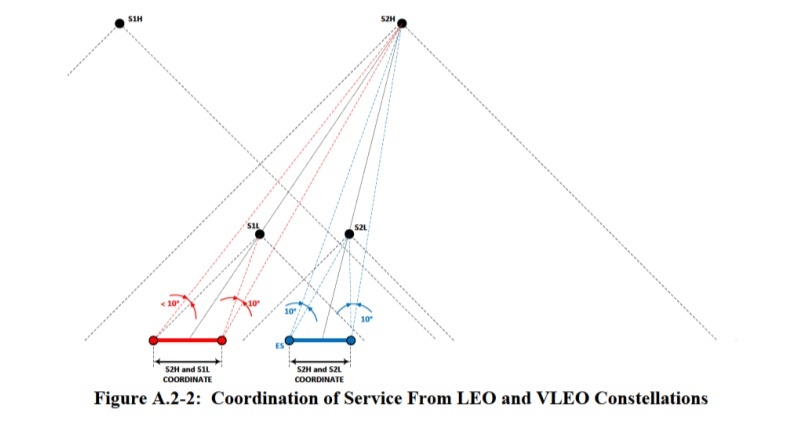 The high LEO & low VLEO satellites hand off to each other and provide several sizes of ground spots, ranging from about 1.5° up. In this regard, it is worth noting that the VLEO Constellation offers even greater assurances against the creation of orbital debris. 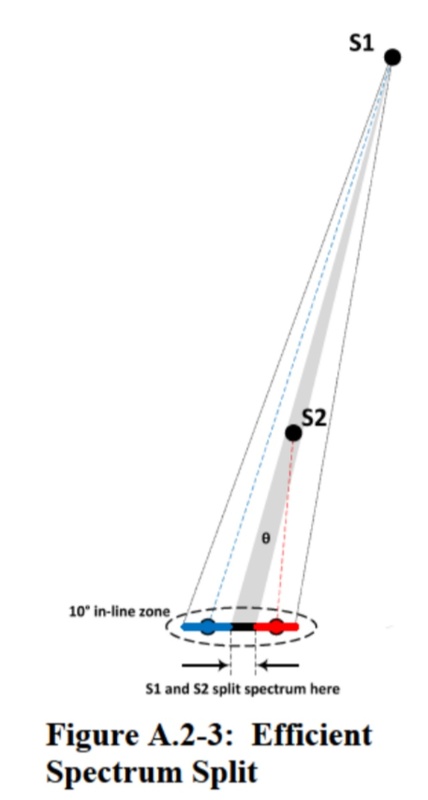 Its orbital characteristics have been chosen in order to maximize the spacing between satellites and thereby preclude the risk of conjunction. Moreover, at this very low altitude, atmospheric drag will quickly trigger the demise of any debris, whether released by a VLEO satellite (in the very unlikely event that such a release occurs) or caused by some other source. 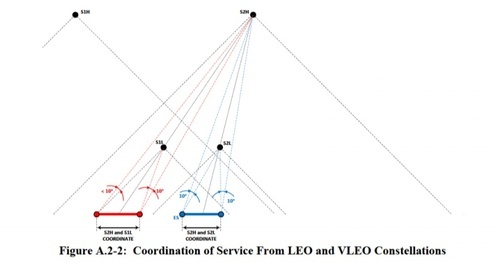 Thus, for VLEO satellites, the orbital characteristics themselves create an essentially self-cleaning operating environment, providing an additional layer of protection over the measures described below. SpaceX has assessed and limited the amount of debris released in a planned manner during normal operations, and does not intend to release debris during the planned course of operations of the SpaceX System. SpaceX is also aware of the possibility that its system could become a source of debris in the unlikely case of a collision with small debris or meteoroids that could either create jetsam or cause loss of control of the spacecraft and prevent post-mission disposal. SpaceX is undertaking steps to address this possibility by incorporating redundancy,shielding, separation of components, and other physical characteristics into the satellites design. Tanks are designed to suffer impact penetration without explosive consequences, while batteries are shielded and have isolation features to prevent cascading failure from impacted battery cells to other battery cells. SpaceX will continue to review these aspects of on-orbit operations throughout the spacecraft manufacturing process and will make such adjustments and improvements as appropriate to assure that its spacecraft will not become a source of debris during operations or become derelict in space due to a collision. SpaceX is designing its spacecraft in a manner that limits the probability of accidental explosion. The key areas reviewed for this purpose will include rupture of propellant tanks and batteries. The basic propulsion design (including a dual wall shielding effect from the bus walls), propulsion subsystem component construction, preflight verification through both proof testing and analysis, and quality standards will be designed to ensure a very low risk of tank failure. A burst disk ensures that sudden failure of propulsion containment cannot overpressure and fragment the spacecraft. During the mission, batteries and various critical areas of the propulsion subsystem will be instrumented with fault detection, isolation, and recovery (similar or in many cases identical to flight-proven methods utilized onboard the SpaceX Dragon capsule for its missions to ISS) to continually monitor and preclude conditions that could result in the remote possibility of energetic discharge and subsequent generation of debris. Through this process, SpaceX will assess and limit the possibility of accidental explosions during mission operations and assure that all stored energy at the end of the satellites operation will be removed. Each satellite in the SpaceX System is designed for a useful lifetime of 5 to 7 years. SpaceX intends to dispose of satellites through atmospheric reentry at end of life. As suggested by the Commission,39 SpaceX intends to comply with Section 4.6 and 4.7 of NASA Technical Standard 8719.14A with respect to this reentry process. SpaceX anticipates that its VLEO satellites will reenter the Earths atmosphere withinapproximately one month after completion of their mission much sooner than the international standard of 25 years. After the mission is complete, or all propellant is consumed, the spacecraft will turn off its ion thruster, and be reoriented to maximize the vehicles total cross-sectional area. The spacecraft will also passivate itself by de-spinning reaction wheels, drawing batteries down to a safe level and powering down. Due to the VLEO Constellations very low altitude at the edge of the atmosphere, re-entry after end-of-life is anticipated within a matter of weeks. SpaceX has conducted an assessment using NASAs DAS which indicates a total spacecraft Risk of Human Casualty rate of between 1:17,400 and 1:21,200, depending upon operational altitude for the VLEO satellite satisfying the requirement of 1:10,000 established by NASA. This analysis will be conducted regularly throughout the spacecraft design life cycle to ensure continued compliance. The results of the analysis done to date are included on the following pages. Definitely sounds like the SpaceX-Google "CommX"/STEAM/whateveritscalled partnership has legs & big bucks. When it comes to providing global broadband internet coverage, two satellite constellations in low Earth orbit are better than one. At least that’s the implication of a patent application filed by an inventor who used to work at Google and is now part of SpaceX’s Seattle-area satellite operation. Mark Krebs’ concept is described in an application that was filed last September, published by the U.S. Patent and Trademark Office in January, and picked up this week by PatentYogi’s Deepak Gupta. It calls for setting up two sets of satellites orbiting at different altitudes with different inclinations. The scheme brings a couple of advantages: It eases the way for putting up thousands of satellites in orbits that cross over each other without having to worry about the threat of collision. The orbital arrangement also makes it easier to provide overlapping coverage for customers down below. That allows for a smooth handoff from one satellite to another, and provides more of a backup in case a single satellite goes offline. The higher-orbiting constellation provides wider coverage, while the lower-orbiting constellation provides higher bandwidth. “The satellites are arranged to provide at least 75 percent coverage of the Earth at any given time,” Gupta says in a YouTube video describing the scheme. Krebs’ move from Google to SpaceX suggests that this is more than a blue-sky concept: Back in 2015, at around the same time that SpaceX’s Elon Musk announced the establishment of the satellite operation in Redmond, Wash., Google and Fidelity invested $1 billion to back the company’s effort to create a 4,425-satellite constellation for internet service. That meshes with the scale of the system described in Krebs’ application. SpaceX is expanding its presence in Redmond, stoking suspicions that the satellite operation will soon raise its profile. Musk has said he sees the potential revenue from the satellite system as a significant contributor to his long-term vision of establishing cities on Mars. Yep, and not just for Human use either. The DSN would benefit greatly from a derivative of this where the orbital plane is near the ecliptic. Vastly improved signal quality -- not necessarily speed, but bandwidth. Imagine a future probe being able to send data back at 3 mb/s or even 10 mb/s instead of the 30 kb/s. A derivative type of DSN based upon this application could enable those speeds. Looks like they're ramping up the satellite factory in Redmond, WA. Most of these positions sound like builders, not theoreticians, planners or analysts.